Exactly a month after China shut down the last of its licensed ivory carving factories and retail outlets, the Hong Kong Legislative Council voted to end the ivory trade in Hong Kong. The decision to close down the ivory trade in Hong Kong came on 31 January this year. Ivory traders will receive no compensation and maximum penalities for wildlife crimes will be increased to 10 years imprisonment. Political Animal Lobby (PAL) spokesman, David Barritt, has welcomed the news from Hong Kong, saying that the tide is turning for elephants. However, Barritt cautioned that the closure of Hong Kong’s ivory markets will not take place immediately. Instead, the closure will be implemented in phases between 2018 and 2021. For instance, the trade in elephant trophies will come into effect as soon as the law is amended, but a ban on ivory imports and exports will be introduced three months later. The commercial trade of ivory within Hong Kong will continue until the end of 2021, after which all ivory trading will cease – with the exception of antique ivory artefacts carved before the year 1925. This leaves a four-year gap between the closure of ivory markets in Hong Kong and those in mainland China. “Our biggest fear is that Hong Kong will be used launder illegal ivory from China. This would seriously undermine Chinese efforts to implement the ivory ban,” said Barritt. Experts say the key to turning the tide on elephant poaching is enforcement and education. This means overcoming poor communication and coordination between Chinese law enforcement agencies and boosting the number of personnel responsible for enforcing the ivory ban in China. While progress in the Far East heralds new hope for Africa’s elephants, pressure is mounting for the UK to implement a blanket ban on the commercial trade in ivory. A consultation on the form that a proposed ban should take closed on 29 December 2017 and the Department of Environment, Food and Rural Affairs has undertaken to publish the results of the process within 12 weeks of the consultation closing. That means results are expected by mid-March. According to the Defra, more than 60 000 comments on the proposed ban were received, making it one of the biggest consultations in the Department’s history. At present, the UK prohibits only the sale of ivory pieces produced after 1947, a loophole that is believed to fuel demand for ivory and provide a means for illegal modern ivory to be laundered. 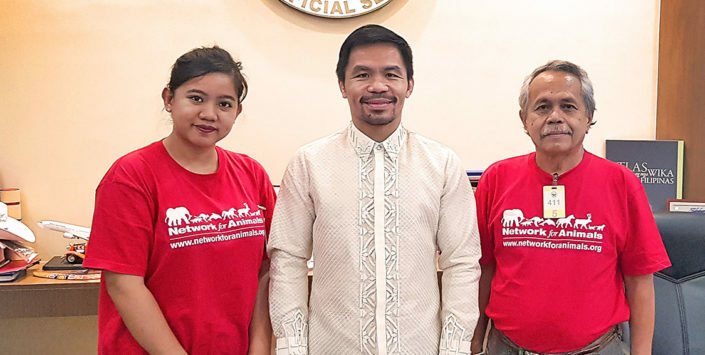 While antique dealers and auction houses are promoting a system that provides exemptions for a trade in ivory items of “artistic, cultural or historic” significance, animal welfare organisations like PAL are pushing for an outright ban.